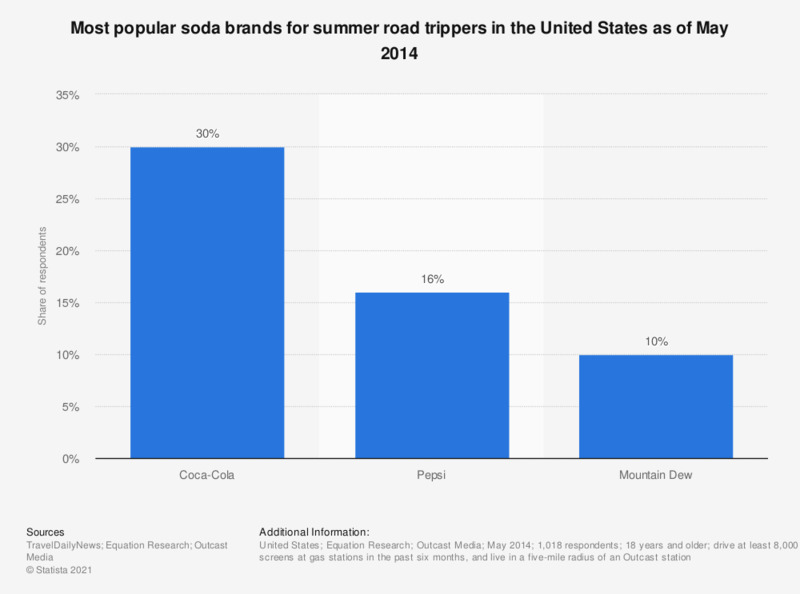 This statistic shows the most popular soda brands for summer road trippers in the United States as of May 2014. During the survey, 16 percent of the respondents said Pepsi was their favorite soda drink for road trips. The type of survey was not provided by the source.